Well, heck. I found some more silver at my last estate sale. I was sort of doing well at keeping the silver addiction at bay until that point. They had a whole box of it for sale with probably 25 pieces in it. So I could have gone totally off the wagon, but I just picked out the one piece that I thought was unique. And left the other more common looking plates and platters for someone else to find. I think it will look cute with some flowers placed in it. 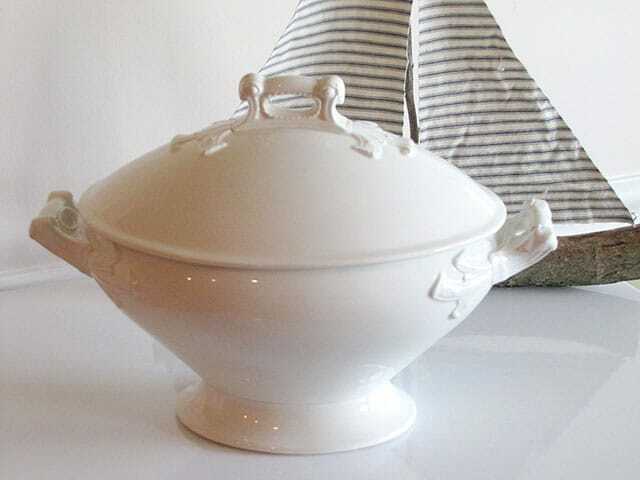 I also bought this white English ironstone tureen. No ladle, but I sort of like the look of a silver ladle instead of a matchy-matchy ironstone one. Hmmm … then I would have an excuse to buy more silver! Great looking piece Pam. It is very unique! I have so many vintage addictions…silver is one also. Everything looks great and I hope you find a lamp for your shade. I’m so glad I’m not the only one with vintage addictions. Your latest finds are divine. I love the color of your lamp shade. I hope you can find something to use it for. Sweet corn just came into season around our area. Our little garden isn’t going to have corn to harvest for quite awhile. The deer have also decided to lean over the fencing and help themselves to some of it too. Stinkers. I must confess….I have a silver addiction also! Will look great with flowers in it! luckily we had some great bicolor corn at our farmers market and tomato’s this weekend..since our tomato’s are not ripe yet. 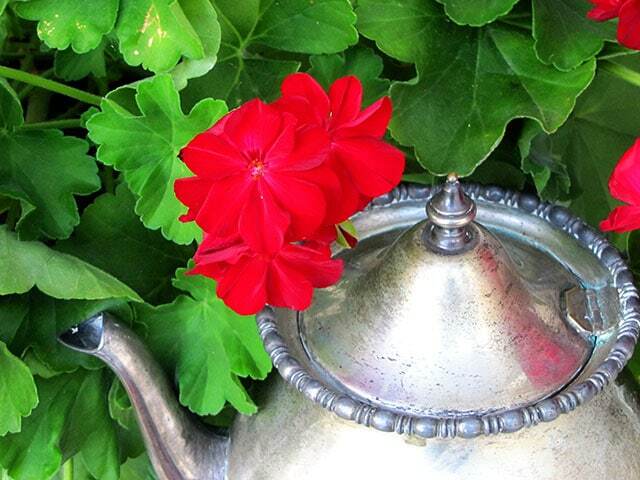 Beautiful finds Pam, I love the tureen! I went to a Flea Market this weekend and picked up a few things, it was so fun. I LOVE corn on the cob too and yes, not the Walmart kind!! I am hoping to get my hands on some this week. Great pieces–what are you going to do with the lampshade now? We had a few ears. They were yummy! We’ll have to get more from the Farmer’s Market. Like you it is difficult to pass up the silver pieces!! Great finds! Visiting from NTT!! I love the lines of your new silver piece. Nice find and I can totally understand why you had to have this one. 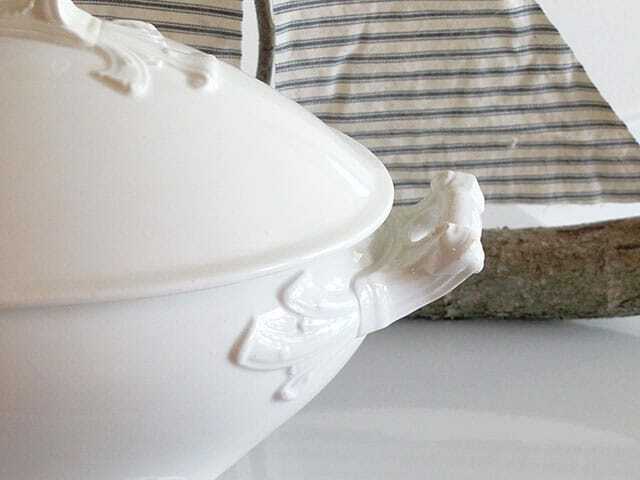 There is just something about a piece of white ironstone that is beautiful in its simplicity. OH you had some great finds, Pam…I love them all! Great siler find, Pam. You landed some neat idems! Love that little Jadite or Jadeite or just plain GREEN lampshade. 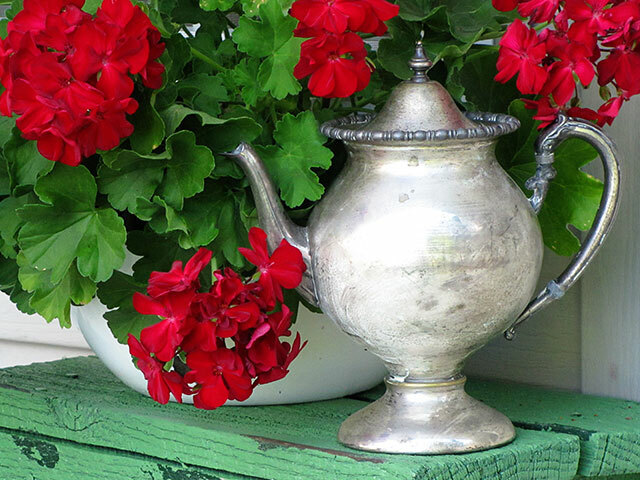 Found your blog via Coastal Charm, love the silver treasure you found, what a wonderful piece. Your blog is so adorable, I am now a follower. Hi Pam, thanks for your encouragement in the interview series. Don’t forget to stop by and win a music giveaway that is happening with the second part of the interview!